There’s no doubt that WordPress has become the most popular Content Management System (CMS) since its release back in 2003. WordPress has given webmasters a user-friendly platform with over 18, 000 plugins to make their website’s building and blogging efforts a breeze. Many webmasters, however, fail to fully optimize their WordPress posts for SEO purposes. Search Engine Optimization (SEO) is a vital process that makes you visible online and drives traffic and sales through organic search engine visits. Think about it… what good is a blog post if no one knows it exists online? What good is a post if you aren’t getting any visitors? What good is it if it’s not giving you any conversions? Make sure you’re doing everything possible to enhance the online visibility of your blog and its posts by following these 5 essential rules. Meta titles and meta descriptions give search engine bots (otherwise known as crawlers or “spiders”) the exact information they need to comprehend, sort and index your web pages and content accordingly. The great thing about this plugin is that once you’ve activated and installed it, you will be able to write, edit and set up your meta titles and descriptions with ease. Filling in the title — You can use the title of your article as a way to insert useful keywords but be sure not to over-optimize. 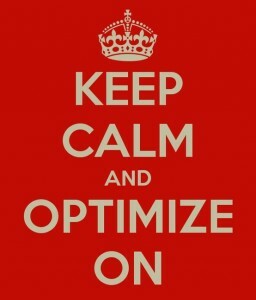 Simply put, over-optimization is “overdoing it”, i.e. keyword stuffing or repeated use of the same exact keyword or phrase. This practice might be penalized and it can and will cripple your SEO strategy. Writing the description — Your description should also contain keywords, but more importantly, it should be catchy. The description should be something that grabs the reader’s attention because it is exactly what shows up in Google SERPS. Make sure you write something here that grabs the user and makes them want to click on the search result to read more. If you fail to do so, they will most likely move on to the next search result down the SERPS. Also try to keep your description under 156 characters so it is entirely visible to users in the search results. Skip the keywords – While keywords used to be very important for SEO (no one is arguing that), Google has since said that they do not use the meta keywords in their search engine algorithms. Don’t just believe me; check out this video from the head of Google’s webspam team, Matt Cutts. Next, you will need to choose a specific category for your post. The selection must be relevant to the article but it shouldn’t be the same exact keyword used in your title. Google might see this as overoptimization, so be careful! Example: The category you select should NOT be “Google Analytics” if the title of your post is “How to Use Google Analytics”. Aim for 3-5 tags. The tags you write must be long-tail phrases of 5-8 words in length. They should also be variations of your title. Here’s a quick tip… If you’re looking for a little inspiration you should try Googling your title and seeing how your competitors and other bloggers are wording the exact same phrase. Another cool tool is called Soolve. Simply type in a keyword from the content, and check out the different variations that search engines come up with. The tag is also your chance to include a few variations of your targeted keywords without actually including them in the content itself. Before you get confused, this is the actual title of your article – the one that your readers will actually see. You can choose a keyword rich title but make sure it reads well and connects with your users. Instead of focusing on keywords alone, also try to aim for an attention grabbing title that will increase your Click through Rate (CTR) in the SERPS (Search Engine Results Pages). Try not to make it too short or too long either. Be descriptive to include a few select keywords but make sure your title is no more than 60 characters so that the entire snippet will show in the search results – without getting cut off by limits set by the search engines. Finally, write the body of your post! Try to make it interesting even if it’s a boring niche. If you need a little help, check out our 7 tips to create interesting content for boring industries. Also think about what you would want to read and make sure that your article is relevant to its title. This will help increase the chances of social media sharing and the potential of your content going viral. Here’s another quick tip… Provide stats in the beginning and link out to a website with a high PageRank. Remember, linking out to high quality, authoritative websites also helps boost your own PageRank! As a rule of thumb make sure you include keywords and variations approximately 5% of the time within the content itself. 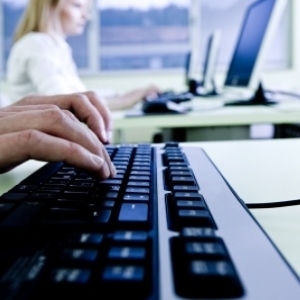 Also link back to your site with a few long-tail keywords throughout your post. Achieving and maintaining visibility of your posts takes more than just writing an article and slapping it into WordPress. It requires the optimization of those articles to achieve maximum visibility on search engine results pages. Visibility is key to driving traffic and conversions. Good SEO dictates that you conduct research to come up with the most relevant keywords and their variations. Keeping your keywords and their variations targeted and relevant is necessary to increasing conversions. This ensures that your content is indexed in the most relevant databases and displayed to the users who are actually searching for the content you are writing about. Follow these rules and you will surely see better online results. However, REMEMBER, it’s still about the content ultimately. Search technology has developed to the point where the crawlers can now distinguish between great content, good content and poor content. Your information needs to be rich with great presentation and style. Obviously, this will increase reader engagement including valuable human shares, also very important to the search engines. Quality content gets quality backlinks because it is quality sites that will link to it. Add all the great implementation rules in this writing and you have a winning combination for content implementation strategy. Our clients come to us to enhance their online visibility, drive traffic to their website and to convert potential customers into paying customers. Contact us today for more information about optimizing your WordPress blog or website, we can help!